This entry was posted on March 10, 2011 by Roc. Wu Yi oolong tea is the world's most sought after oolong tea. 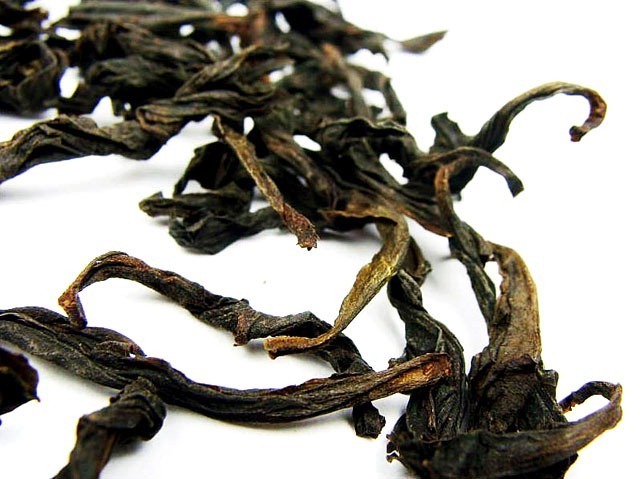 The priceless Da Hong Pao is widely regarded as the King of Oolong. Wu Yi Yan Cha or "Rock Tea" "Cliff Tea" is a special subcategory of oolong tea grown in the nearby region of Wu Yi Shan City in northern Fujian Province. Wu Yi tea not a single tea variety, but refers collectively to the teas . Wu Yi Shan is a UNSECO World Heritage site, internationally recognized and protected for its biological diversity and significance as an ancient cultural site. A long time center of tea production, farmers in Wu Yi Shan developed the methods for making oolong tea around 1650. To the present, Wu Yi Shan's oolong tea, known as"Yan Cha" or "Rock Tea" is considered by many to be the preeminent style of oolong tea. Wu Yi Shan has a long and glorious history of producing famous tea. Song dynasty's poets Fan Zhongyan and Su Shi both alluded to its fame and tribute tea status as early as the 11th century. Nothern Fujian ascended to fame as the foremost tribute tea producing region during the Song Dynasty (960-1279 AD) when the fields and factories of the region were recognized as the producer of the nation's best quality tea and hosted the epicenter of the government controlled tea industry. During the Song, all tea was essentially green tea that was compressed into cakes during its manufacture. The compressed tea from Wu Yi Shan was so sought after that it was renowned to be worth more than its weight in gold. When the Mongolian calvary lorded over China in the 14th century, an imperial tea garden was set up on Wu Yi Mountain to cater for the emperors. The arrival of the Ming Dynasty (1368-1644 AD) forced Wu Yi's craftsmen to change the way they made tea from the compressed form to the loose-leaf form we recognize today. With much difficulty in adapting to this new standard of production, Wu Yi Shan slowly retooled its infrastructure and began to make loose-leaf green tea, in an attempt to copy the technique from successful tea producers in Anhui. The producers of Wu Yi Shan, being unfamiliar with making pan fired green tea, inadvertently allowed their tea leaves oxidize. Their imperfect efforts at making loose leaf green tea sired the creation of partially oxidized oolong tea and fully oxidized black tea in Wu Yi Shan at the end of the Ming. Wu Yi Shan continues to produce the world most sought after oolong in the form of its famous Yan Cha. According to William Ukers, who wrote All About Tea in 1935, Wuyi oolong tea was one of the first teas to be exported to Europe in the early 17th century. More than any other famous tea, understanding Wu Yi Yan Cha is inextricable from examining the intricacies of its growing region. 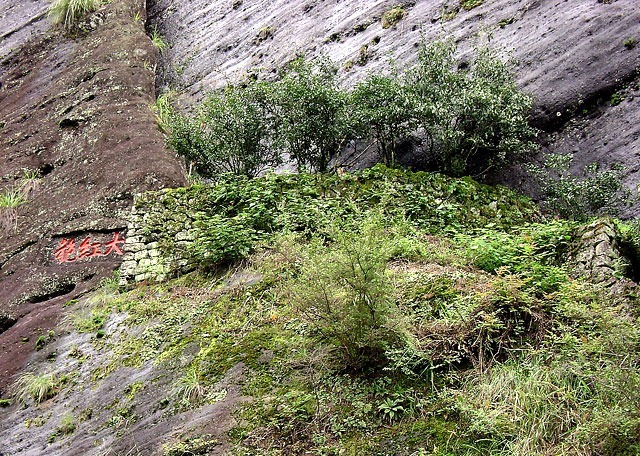 Wu Yi Tea is called the Rock Tea because Wuyi Mountain is a large volcanic fault structure that consists mainly of vertical cliffs, deep gorges and cave systems. Situated in the Fujian Province of Southern China, it has an average elevation of 650 metes above sea level. The landscape is characterized by winding river valleys flanked by dome-shaped cliffs and cave systems. The nine-bend river (Jiuqu Xi) meanders in a deep gorge among these hills. It is famous for its 36 peaks and 99 crags, with tea being cultivated in each crag. Wuyi Mountain is a mecca for biologists. Scientists have been busy conducting field research there since 1873. They have identified nearly 4,000 plant species and 5,000 animal species. Even when the Scottish Spy, Robert Fortune, smuggled the first tea bushes out China, he traveled to Wu Yi Shan to take his samples. Wuyi tea plants even have their own name - Var Bohea. It is widely regarded as the richest depository of tea varieties in the world. Its biodiversity and rich history received recognitions in 1999 when it entered the UNESCO's list of World Heritage Sites. 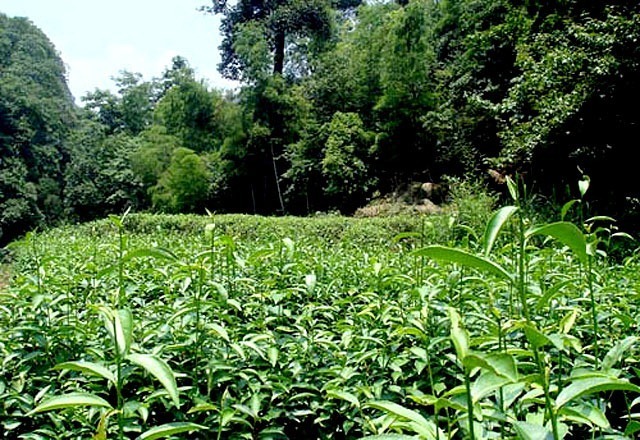 Throughout its history spanning dynasties, tea scholars have been attracted to the biologically diverse and unique climate of Wu Yi Shan.Wu Yi Shan’s climate offers a number of unique benefits to growing tea, most notably its mineral soil eroded from the volcanic rock faces. A layer of soft red soil lies about 10-40 cm thick on the ground of Wu Yi's interior. This is the rich terrior that endows the characteristic flavor of Wu Yi's tea. In Chinese, this distinctive flavor is expressed as "Yan Yun" lit. "rock rhyme." The temperature averages 18C though the year, with a short frost time that won't kill tea plants. Precipitation is abundant and the region is almost always in a shroud of fog. The humid conditions (80% humidity on average) keeps the soil moist and the bushes healthy. Besides the humidity, the cliffs are continually weeping its minerals into the soil. Even though Wu Yi Shan's elevation averages lower (650M) than other high quality tea growing regions, its ideal temperature, soil and weather more than compensates. Hundreds of big rocks, some the size of a small mountain, are spread though the area. There are ninety-nine large rock faces in the center of Wu Yi mountain, the Zheng Yan Cha growing area, alone. The Zheng Yan Cha growing region itself is defined by two rivers encircling the heart of the region.